The Oromo Cultural Center is in Seattle’s Rainier Beach, one of the most diverse neighborhoods in the United States. 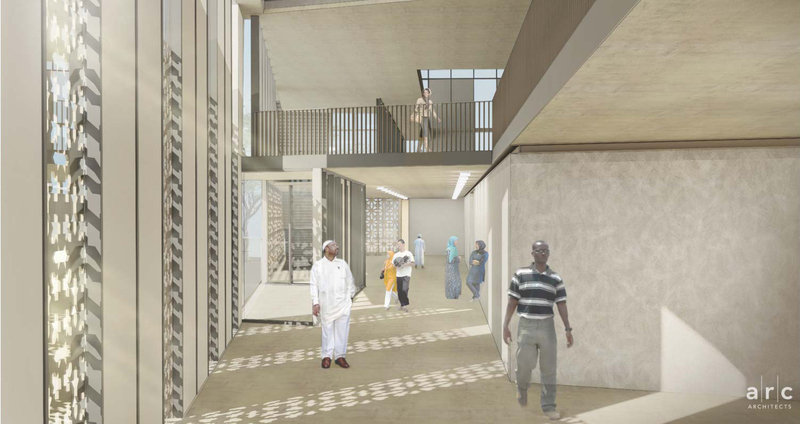 The ground floor serves the community’s spiritual needs including prayer, ablution, and funerals. A multi-purpose room and gym on the second floor serve recreation and social needs. 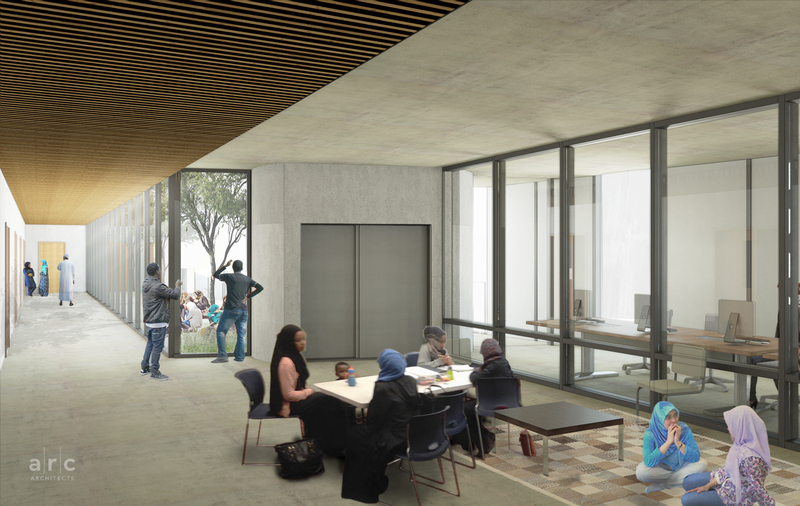 The third floor is for Oromo youth and teens with rooms for religious and secular learning and an outdoor terrace for socializing. 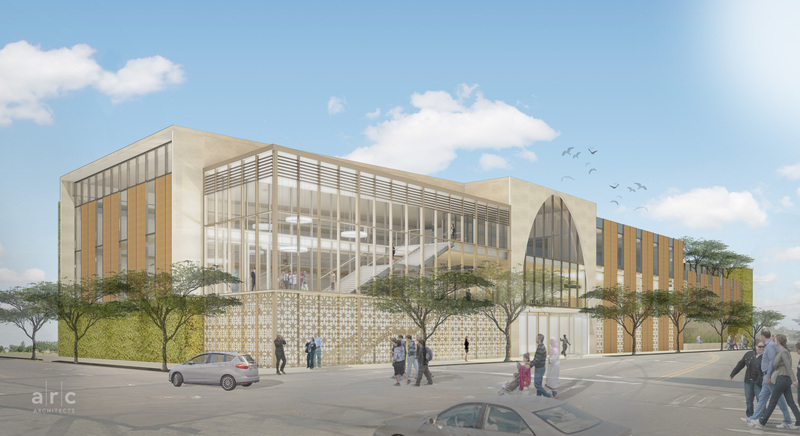 A prominent arch and arabesque patterning reflect the Center’s role as a mosque. Prayer rooms, the morgue, and classrooms are oriented toward Mecca, the holiest city in Islam.